Spills, drips, splats: this looks like a job for the super bib -- with a cape for added fun. 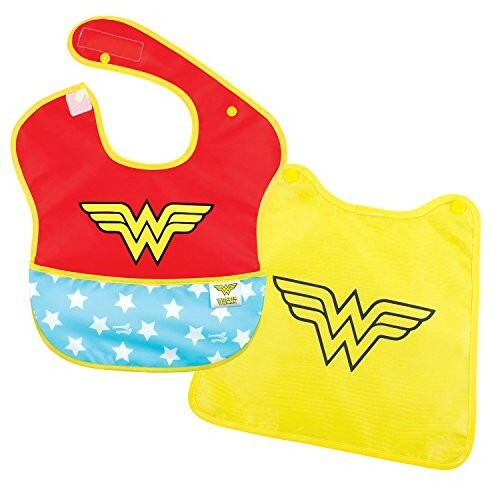 Made from Bumkins' lightweight, easy wipe material with a handy catch-all pocket for containing spills, this bib is a great addition to any mealtime. The bib measures approximately 10" across and 9" from neck down and it's BPA, PVC, vinyl, phthalate and lead free.